Brussels – Workshop on Smart Specialization for the Research and Development (R&D) and Industrial Working Group organised by the Regional Cooperation Council (RCC) was held in Brussels, on 6 December 2017. The meeting participants, coming from the Ministries responsible for R&D and innovation met with the representatives from the respective ministries of economy to discuss the actions on Smart Growth and the development of Smart Specialization Strategies in Western Balkans Six (WB6) in cooperation with European Commission’s (EC) Directorate-General for Joint Research Centre (DG JRC), DG for Research & Innovation (DG R&I) and Directorate-General for Neighbourhood and Enlargement Negotiations (DG NEAR), addressing actions on smart growth outlined in the Multi-Annual Plan (MAP) on Regional Economic Area (REA), as agreed by the region’s leaders at the Western Balkans Summit in Trieste. Research and development systems in the region have been underfunded for a protracted period of time. The low investments in research and development over a prolonged period of time is having profound effects on the impact and quality of public research production, integration of the academic and research networks into the European and global networks and the innovation and technology transfer potential of the WB economies, which prevents them to move towards innovation-driven and high-tech industries. The Multi-Annual Plan on Regional Economic Integration has a substantial set of measures in Investment, Mobility and Digital Agenda, which address the R&D and innovation systems in the Western Balkans. The smart growth actions constitute a comprehensive agenda on research and development, which is of crucial importance to truly leapfrog the economies from the current economic model to the one that can successfully compete in and integrate into the EU innovation-driven economies. Therefore, the participants discussed how to coordinate and support the operationalisation of the outlined actions and ensure full and successful implementation of the commitments. The focus was placed in particular on the development of smart specialisation strategies. The economies have presented their policy initiatives on smart specialisation strategies and have highlighted their needs for expert support in the preparation of the smart specialisation strategies. The Directorate-General for Joint Research Centre (DG JRC) already supports the development of smart specialisation strategies in Serbia and Montenegro, while MB IPA support for the smart specialisation strategies will be available for all economies in the region already in the beginning of 2019. 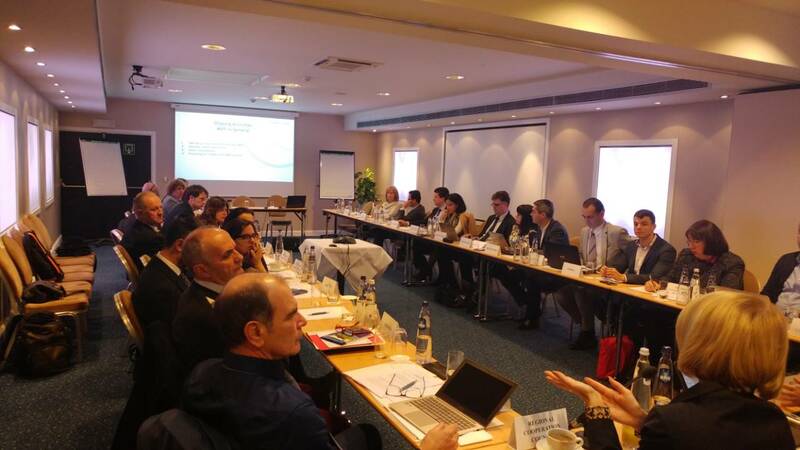 Therefore, the participants agreed that 2018 is a crucial preparatory year to prepare for the full use of the support in 2019, while the experiences of Serbia and Montenegro have been identified as good practice examples of how to set up the coordination mechanisms for the development of the smart specialisation strategies.